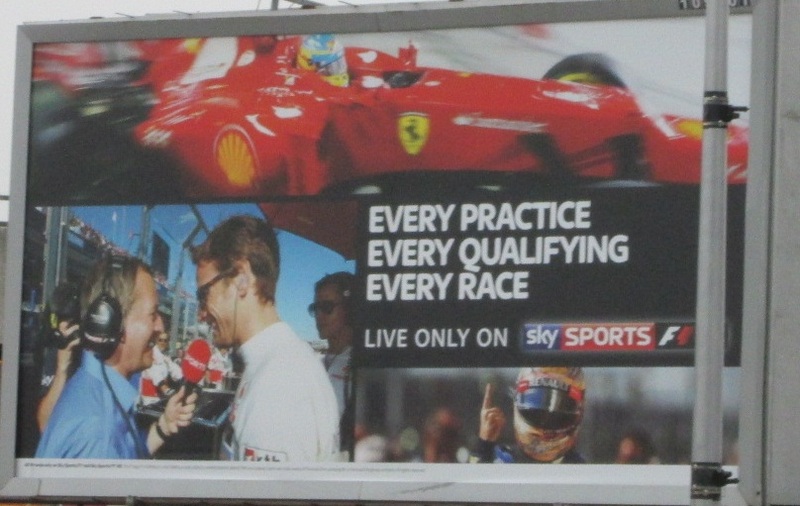 Sky Sports F1’s billboard advertising in the run-up to the 2013 Formula One season. Top: Fernando Alonso; Bottom Left: Martin Brundle interviews Jenson Button in Australia 2012; Bottom Right: Sebastian Vettel. That’s Vettel at USGP Qualifying, you can tell by the helmet design and the fact that he qualified pole but didn’t win! There was a two page ad in last Saturday’s Guardian using these and other images – I guess it would have appeared in other papers as well.